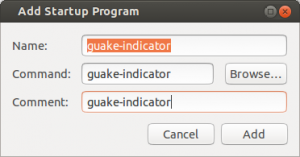 Guake-indicator sticks to your "Ubuntu System Tray" and displays your favorites ssh hosts retrieved from ~/.guake.indicator/guake-indicator.json. If guake-indicator.json does not exist, guake-indicator will create a default one with a single "localhost" entry. 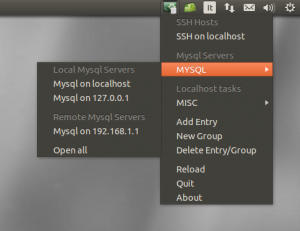 remote_command : if set to yes, after that "command_after_login" is executed, the bash shell won't be invoked so an automatic exit is performed. x_forwarded : if set to yes it adds the -X flag.This tells SSH to forward the X server calls to the client computer (available from version 0.2). 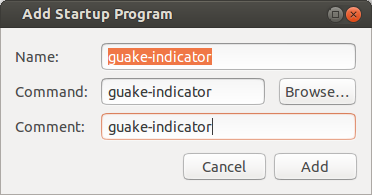 Note:- Before installing this you need to make sure you have guake installed.